Designed for groups who want to combine a general English course with daily drama workshops which follow a weekly project or theme. This is a great introduction to the origins of Western Theatre that combines theory with practical activities and quickly builds students confidence , teamwork , trust and performance vocabulary. Gods, Goddesses, monsters, myths and legends are the themes for these workshops. Students will be taught projection and care of voice using professional performance techniques to effectively perform as a Greek Chorus. Plays are written to be performed - not just read. Students will be taught how to bring a variety of short funny scripts to life by writing stage directions. 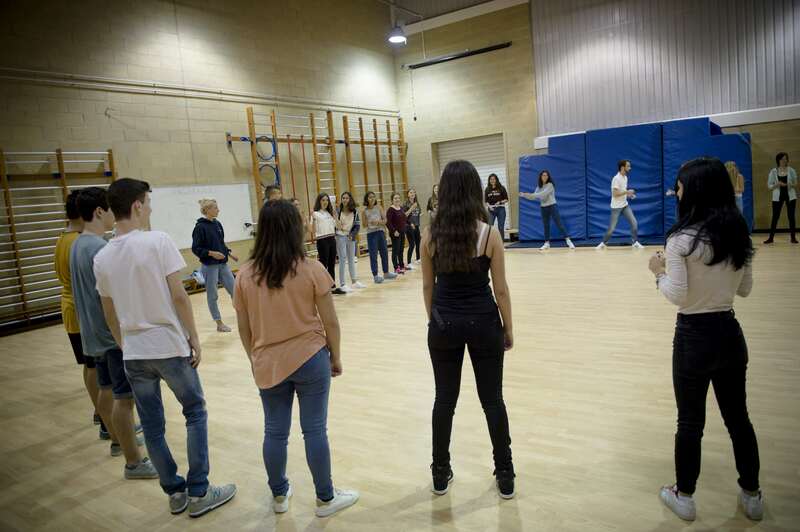 They will create characters using gestures, body language and facial expressions, and consider their on-stage relationship using improvisation games. Students will have the opportunity to direct scenes using a variety of drama techniques. A visual form of theatre that uses mime and body language to communicate meaning and connect with the audience. Group activities and pair work will allow students to devise, develop and reflect on movement that communicates meaning. Students will be taught how to physically embody a character and the do's and don'ts of using masks. Using everyday products, students will design their own horror or fantasy make-up and be shown how to make fake blood and create scars, burns and cuts for special effects. They will learn about basic skin care and how to safely apply and remove make-up.